SÂZ already played several times in Ghent, , in het Muzikantenhuis (Dampoortstraat), with Mizrap (Sluizeken) and of course in De Centrale (caféconcert). Today SÂZ is our guest again, in a brand new setting and on the stage of the basement hall. 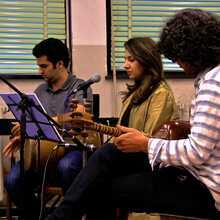 With several new compositions, the trio led by Ehsan Yadollahi brings a totally new repertory. 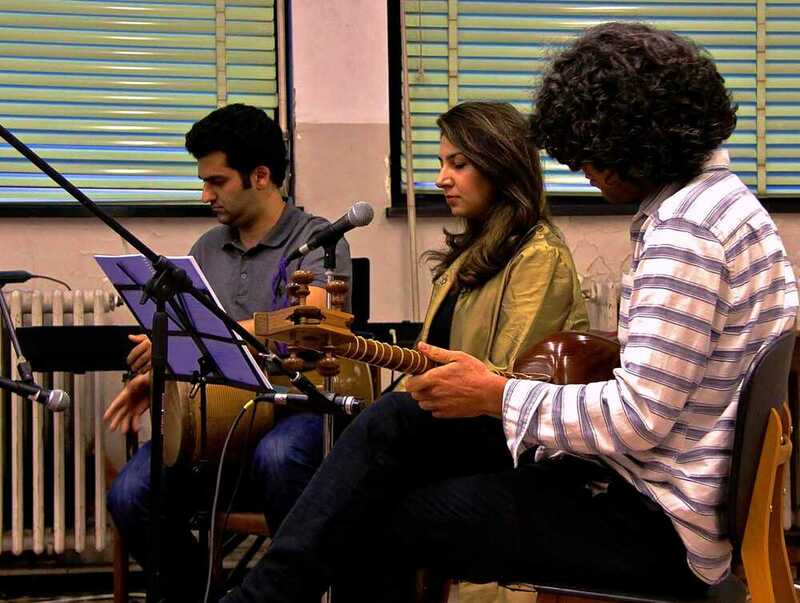 The group mainly brings own compositions, based on the Iranian music tradition, in which the free improvisation plays a big role. The performance consists roughly of two parts. The first part mainly focusses on the complex dialogue between the setar (longnecklute) and the tombak (vasedrum). The second part emphasizes specially on compositions based on the early 20th century Persian poetry. Interesting with this is specially the use of the special singing style avaz, an indispensable and one of the most striking elements in the Iranian traditional classical music.